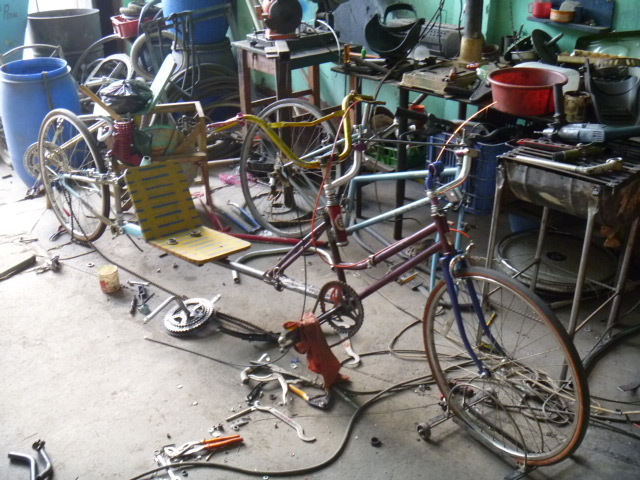 At Lake Atitlan we built a bicycle powered blender with our Spanish cycle friends Alex and Ina, who had been volunteering at Maya Pedal. 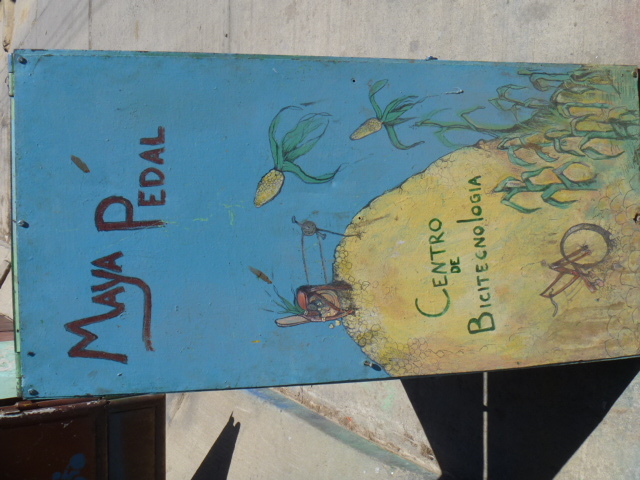 Maya Pedal is a non profit organisation based in San Andres near Antigua, where they built bicycles and bicycle machines for the local (agricultural) community. 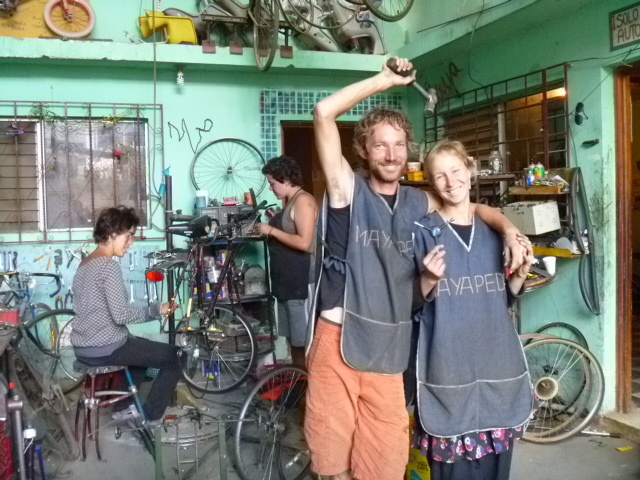 Feeling thoroughly inspired we traveled together to San Andres to spend a few days volunteering at Maya Pedal.